The Akron Metropolitan Area Transportation Study (AMATS) is the transportation planning organization for Summit, Portage, and Wayne counties in Ohio. 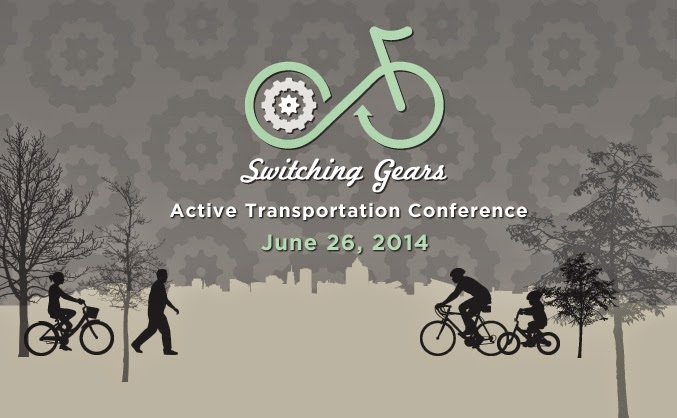 They invite you to attend their Switching Gears – Active Transportation Conference on June 26 in downtown Akron. This conference is free and open to the public, and includes lunch. It will begin at 9:00am and will take place at the Akron-Summit County Public Library and the John S. Knight Center. Learn how to make your community more bicycle and pedestrian friendly through key speakers who have done it, and various how-to workshops. The key speakers are Jason Roberts of The Better Block, and Dave Cieslewicz, Executive Director of the Wisconsin Bike Federation and former mayor of Madison, Wisconsin. Bring your bike and join AMATS on their first Bike-N-Brainstorm of the season, with a group ride through the downtown Akron area. There are plenty of spaces still available, so please pass this on to any bike enthusiast – or anyone – who might be interested! Additional information and registration can be found at Switching-Gears.org. Vote for the Best of Cleveland! Is Century Cycles a Bicycle Friendly Business? The Great Ohio Bicycle Adventure is underway!